Skoda India is about to unveil an upgraded model of its very popular Skoda Octavia. The new Skoda Octavia had been in focus for quite a long time but after breaking all the buzz around, it has shown its first glimpse in the Mumbai suburbs, which now suggests that the brand is all set to launch this model in India very soon. The New Skoda Octavia price is expected to be a notch higher than the previous model. 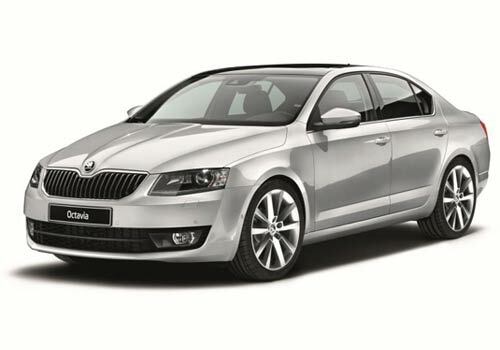 It is speculated that the new Skoda Octavia will gradually replace the existing model of Skoda Laura. This re modified version has already been in sale in many of the European countries, but would be for the first time undraped in India. The revamped Skoda Octavia pictures exhibited that the car had received changes in both inside and outside areas, which enhanced the look of this executive class model. It will be the first time for the automaker that the Skoda's model lineup has been developed on MQB platform. However, many of the Volkswagen cars have been developed on the same platform among many of its designs- such as Golf and Seat Leon. The makers had extended over all dimensions of the car, crafting a much spacious and distinct cabin. In spite of a huge body framework, the weight has been reduced with the help of signature MQB platform. The very first glimpse of the car can state that there has been a significant increase in its size, though the styling remains the same to preserve the originality of Octavia. The extended frontage is smoother finished with the vertically slated radiator grille and re styled headlamps. The car gets much of the chrome infusion on its exterior front, that is, the car gets a decent chrome treatment on the window linings as well as the rear part. The body colour ORVMs is integrated with modish turn indicators. Altogether the sophisticated and classy sedan rolls out on a16-inches alloy wheels or 17-inches allot wheels. The Skoda Octavia features height adjustable driver and co-passenger seats with lumber support and seven airbags. Moreover, the stability control with an incredible infotainment system makes the ambience more soothing. The leather wrapped steering wheels provide an extra grip while driving the vehicle. The top-notch model equips flurry of specifications like satellite navigation system with GPS, multi-functional steering wheel that has operational tabs mounted on it. The new Skoda cars will be coming in two fuel options; petrol and diesel. The petrol version will derive its power from a 1.8-litres TSI turbocharger engine whereas, the diesel option will be powered by a 2.0 TDI turbocharged mill. Mahindra cars in India are currently working on the Mahindra Verito Vibe, that will make its official debut in the Indian market by next month.